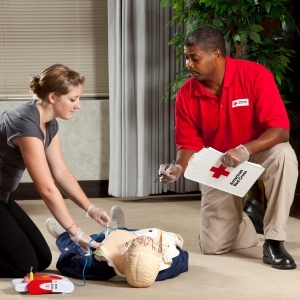 The purpose of this instructor course is to train instructor candidates to teach the American Red Cross basic-level First Aid, CPR and AED courses. Be at least 16 years of age on the last day of the instructor course. Possess current American Red Cross Adult and Pediatric First Aid/CPR/AED certi cation or the equivalent. Have successfully completed the online Introduction to the First Aid/CPR/AED Instructor Course. Have successfully completed the in-person precourse skills session. Have obtained all materials needed for both the instructor and participants before entering the first session of the instructor course. ​Be at least 17 years old on or before the last day of the instructor course. A current American Red Cross certificate for Lifeguarding/First Aid/CPR/AED. A current American Red Cross certificate for Lifeguarding/First Aid and either an American Red Cross certificate for CPR/AED for the Professional Rescuer or an American Red Cross certificate for CPR/AED for Lifeguards. An equivalent certificate from another organization. Successfully complete the online Orientation to the Red Cross. Successfully complete the online Orientation to the Lifeguarding course. Successfully complete the online Lifeguarding Instructor Precourse Exam (80 percent or better). Successfully complete the Precourse Session. Obtain the Lifeguarding Instructor’s Manual and Lifeguarding Manual after you have successfully completed the Precourse Session. The Lifeguarding Instructor/Instructor Trainer review course is an abbreviated recertification course for currently certified instructors and instructor trainers. The purpose of the course is to allow participants to review the course content and practice skills in a formal class setting and complete the final written exam. To participate in the Lifeguarding Instructor/Instructor Trainer review course, the individual must possess and provide proof of a current American Red Cross Lifeguarding/First Aid/CPR/AED instructor or instructor trainer certificate (Instructors or instructor trainers whose certification was withdrawn for any reason are not eligible to participate in the Instructor Review Course). ​Instructors/ITs who choose to attend the “test out” session and successfully complete all basic-level course requirements will earn an American Red Cross Lifeguarding/First Aid/CPR/AED certification, valid for 2 years, in addition to their American Red Cross Lifeguarding Instructor/Instructor Trainer certification, valid for 2 years. 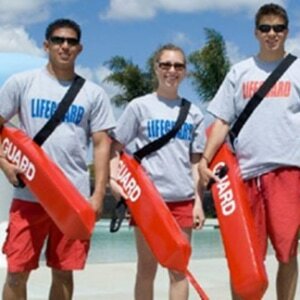 Basic-level certification is not a requirement to maintain a Lifeguarding Instructor/IT certification. 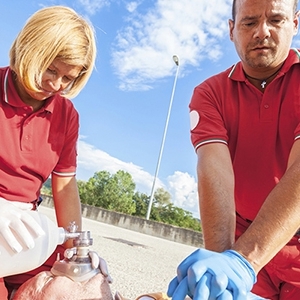 The purpose of the instructor course is to train instructor candidates to teach the American Red Cross CPR/AED for Professional Rescuers and Health Care Providers course. Be at least 17 years of age on or before the last day of the instructor course. Possess a current American Red Cross CPR/AED for Professional Rescuers and Health Care Providers certification or equivalent. Obtain the instructor’s manual and participant handbook prior to entering the first session of the instructor course. © COPYRIGHT 2019. ALL RIGHTS RESERVED. WEBSITE BY WEEBLY. POWERED BY GOOGLE.